Very powerful anti-bacterial and anti-viral properties. Great for digestion. Clove Bud Co2 select extract and Clove Bud Essential Oil are two of our favorites. They are the premier extract/oil for anesthetic (numbing purposes). Clove bud’s chemisty contains mostly eugenol. When you think eugenol, you should think dentist! That is the component that makes you numb,. We use Clove Bud l in most of our pain blends because it helps numb the area. It also quite warming and comforting to the painful area …. muscle aches, arthritis, rheumatism, muscle pulls. We also find clove bud essential oil to be very effective for sore throats. Not to use internally, but to apply a drop or two of clove bud is a bit of cream over the external throat area. Clove hydrosol is what you would use in a heavily diluted form for gargle NOT the Oil. She is highly antiseptic and is great to use in diffuser blends (low concentration) during cold and flu season. She is also great to blend with peppermint to enhance clarity and wake you up! The main difference between Clove bud Essential oil and her Co2 sister is that hat the CO2 is a bit lower in the phenol and has a higher ester content, which soften things up a bit. The Clove tree is an evergreen that grows up to 50 feet tall, with large leaves and crimson flowers grouped clusters. At first the flower buds have a pale hue, gradually turn green, then become a bright red. Now they are ready for harvest. Cloves are usually harvested at 1.5–2.0 cm long, and consist of a long calyx that terminates in four spreading sepals, and four unopened petals that form a small central ball. Awesome!!! The clove tree lives a long long life. It is said to be a productive tree for 150 years! Clove bud is ditilled from the flower, although clove bud essential oil in not usually though of as a flower oil. but it is. Clove bud energetically is wonderful when someones heart is to open so to speak, emotionally in pain, or hurting. Energeticallym clove bud and stem for that matter can be used in a blend to "numb" the emotional pain for a but, so healing can begin to occur. Clove bud hellps warm the soul and emotional body, She is a great oil to use to build self esteem and emotional stregnth, Clove bud oil helps to bring forth our uniqueness and also keeps us very grounded. Her spicy nature assists us in getting in touch with our own sassy part. The resaon that we know about cloves is Marco Polo. He is the one that wrote about cloves in a publication in AD 1928. Actually the name Clove comes from the French word Nail (clou). When you look at the clove bud it does look like a nail. Clove is native to the Maluku or Molucca Islands (often referred to as the Spice Islands, due, in part, to the abundance of clove) in Indonesia. 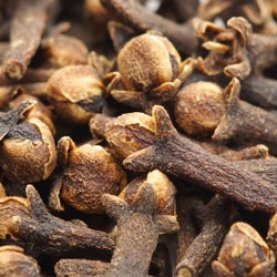 Cloves were traded in the 13th century via the Arabs in Europe. (At this time Venice was the leading source for cloves.) . The Arabs had a monopoly for centuries! Then the Portughese broke that monopoly and had one of their own for over a century. Then came the Dutch. The Dutch were ruthless and to guarantee that their monopoly would live on, the issued a proclaimation in 1621 that stated that ll Clove Trees were to be destroyed with the exception of the trees on Ambinia and the adjacent islands, Eventually Clove trees were introduced into Zanzibar( Part of Tazania) in the 19th century. The very first recorded use of the clove was the Chinese between 220 - 206 BC. They used the clove to sweeten their breath by chewing it. In the Molucca Islands, a clove tree was planted each time a child was born leading to the abundance of the this spice. It was believed to be imbued with the magical powers of protection, love, and, burned as incense to attract financial abundance. It was thought that burning it as incense would stop others from gossiping about you. It also was used in exorcisms to expel evil spirits. The main chemical family for Clove Bud and Clove Stem Essential Oil and Clove Bud Co2 Select Extract is Phenols. Phenols are terminator oils. They are very powerful and highly anti infectious. The phenolic component that is high in clove is eugenol. Clove Bud Essential Oil had about 80% or so eugenol and about 9% Eugenol acetate. Clove Bud Co2 extract has a bit less eugenol and a bit more Eugenol acetate (20% or so). Clove Stem Essential Oil has a higher amount of Eugenol 92-96% percent and very little Eugenol acetate. Eugenol acetate if a component belonging to the chemical family ester. In general esters are highly anti spasmodic and relaxing. According to Tisserand & Young, Clove Bud Essential Oil (oral usage) may inhibit blood clotting, cause drug interactions, cause skin & mucous membrane sensitization. Contraindications: May interact with pethidine, MAOIs or SSRIs, anticoagulant medication, major surgery, peptic ulcer, hemophilia & other bleeding disorders. Eugenol belongs to the Phenol chemical family. Phenols are potentially irritating components to the skin and mucous membranes, and they can cause dermatitis and sensitization. If phenols are present in high concentrations in the essential oil, the essential oil should be used in very low dilutions on the skin, diluted well in carrier oil, and only used for short periods of time. Phenol-high oils are skin irritating if used in a bath. 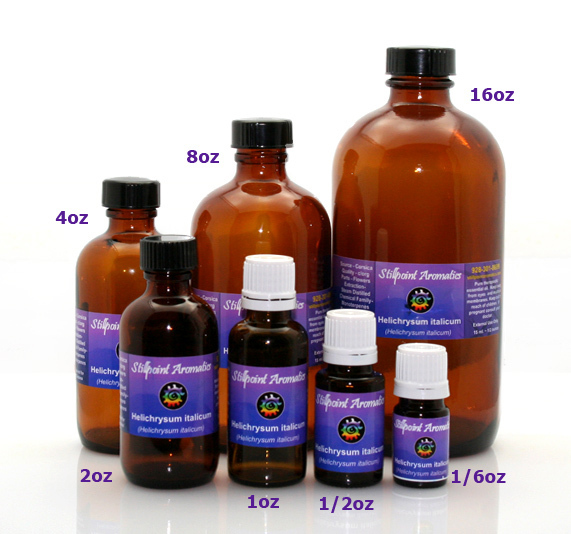 Use in small amounts when blending phenol-rich oils for diffusing (no more than 10% of the pure essential oil blend). Phenol-rich oils should not be used on people with skin issues such as dermatitis, or on babies or children. Oils high in eugenol, thymol or carvacrol inhibits platelet aggregation, and are not to be used by people with blood clotting disorders, by people taking anticoagulant drugs such as aspirin or Warfarin, or before surgery. According to Tisserand, Holy basil may inhibit blood clotting, have skin sensitization effects & possible mucous membrane irritation. Suggested maximum topical use of eugenol is 0.5%. In small doses, eugenol can be liver-protective, however, in high concentrations, it is hepatotoxic and can cause tissue damage. Battaglia, Salvatore. The Complete Guide to Aromatherapy. International Centre of Holysitc Aromatherapy, 2003. Buckle, Jane. Clinical Aromatherapy: Essential Oils in Practice. Churchill Livingstone, 2015. Gaylor, Razafimamonjison, et al. “Bud, Leaf and Stem Essential Oil Composition of Syzygium Aromaticum from Madagascar, Indonesia and Zanzibar.” International Journal of Basic and Applied Sciences, vol. 3, no. 3, 2014, doi:10.14419/ijbas.v3i3.2473. Mailhebiau, Philippe, and Phillippe Mailhebiau. Portraits in Oils: the Personality of Aromatherapy Oils and Their Link with Human Temperaments. C.W. Daniel, 1995. Tisserand, Robert, et al. Essential Oil Safety: a Guide for Health Care Professionals. Churchill Livingstone/Elsevier, 2014.